Corruption, defined as "the use of entrusted authority for private gain," is a major impediment to fighting wildlife crime. Corruption occurs at virtually every stage of illegal supply chains and may draw in customs and transportation officials, law enforcement personnel, and government officials. Corruption along illegal wildlife supply chains typically takes three forms: bribery, diplomatic cover, and cronyism. 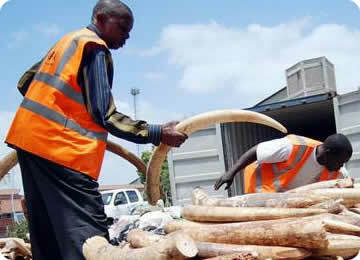 Documented examples of corruption include: bribery of officials to issue false documents or allow trafficked parts to pass inspections; the corruption of senior government officials that provide diplomatic cover for the transport of illegal goods; the sale of confiscated wildlife by enforcement agents; and the handing down of corrupt decisions by judges in wildlife crime cases. Another element of corruption is money laundering. Proceeds from the sale of illicit wildlife goods are often legitimized through laundering and moved through financial mechanisms around the world. The movement of funds from the illicit economy into the legal economy is a form of corruption, and facilitates the operations of wildlife trafficking networks around the world. Solutions may focus, for example, on enabling scrutiny of public sector actions, providing greater transparency of law enforcement and judicial operations, facilitating whistleblowing, exposing financial or money-laundering trails, and generally improving accountability.